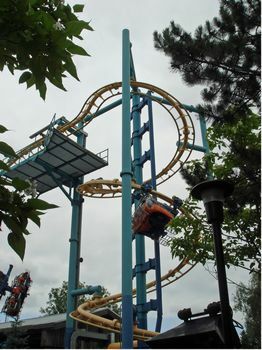 Time Warp is a roller coaster in Action Zone at Canada's Wonderland. Readers say... skip it. The minimum height to ride is 54 inches. This mild roller coaster features a short run through barrel rolls, abrupt drops and sharp turns. The riders are positioned lying face down, and then lifted into place to give the feeling of "flight".